When the days grow longer and the clocks go forward, an intrepid band of volunteer crew and instructors come together to offer flying lessons for our members on Tuesday and Thursday evenings. 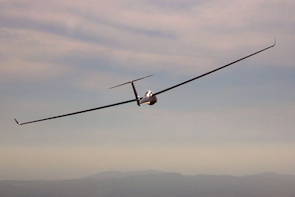 Evening gliding is an amazing experience! Starting at 6pm and running till sunset, these evening lessons are excellent for those building up experience in the circuit, looking to unwind after a hard day at work and/or generally learning the ropes. These evenings will also appeal to members wanting to keep in practice, or re-new their flying currency. The evening groups take over from the day crew at 6pm, though we recognise some may turn up later due to work commitments. We are grateful if everyone can stay till the end to help pack away all the equipment: after all, many hands make light work. The atmosphere during the evening sessions is fun and relaxed – everyone has to muck in, helping to launch and retrieve gliders, collecting the cables and so on. This allows a new member to learn how a gliding airfield operates, as well as learning to fly a glider. We feel this makes them a safer and more confident pilot. Evening flying sessions rely exclusively on winch launches (no aerotows). Evening flights tend to be short in duration, so are ideal for refining technique for take-offs, circuits/landings and a variety of airborne flying exercises. Although we do not usually expect soaring conditions at this time, these have been known to occur. Who knows, it could happen to you! Although technically there’s no difference between the Tuesday and Thursday evening flying, members will naturally gravitate to one or the other according to their work and social schedules. Members are welcome at either or both evenings. Evening flying is operated for members only, and is run on a first come, first served basis – just turn up and fly!